High modulus, acetoxy cure silicone sealant. Waterproof, mould resistant. Bonds to a wide variety of building substrates. Suitable for interior and exterior applications. 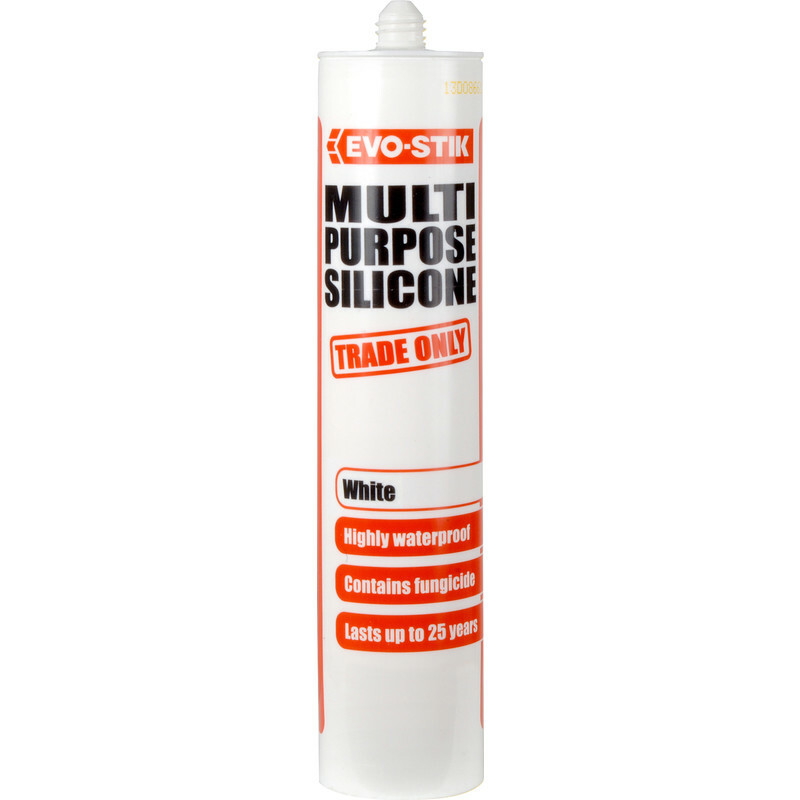 Evo-Stik Trade Multi Purpose Silicone 280ml White is rated 4.7 out of 5 by 7. Rated 5 out of 5 by Brian123 from Good quality This is very good I use it for lots of jobs on house and caravan. Easy to use.there is nothing as good in my eyes. Rated 5 out of 5 by HeraclesUK from Works well for an unexpectedly wide range of tasks Bought in error, as I'd intended to buy the same Everbuild brand I'd had before. However it seems to be just as good! Rated 5 out of 5 by Upul from Value For Money Bought it to do a waterproofing job and it did work well. Rated 4 out of 5 by Jon57 from Good silacone Very good product that was very good value for money. Rated 4 out of 5 by magpie from does the job it was intended for Fit for purpose, what more can you say. This is an ex Quality Managers opinion.